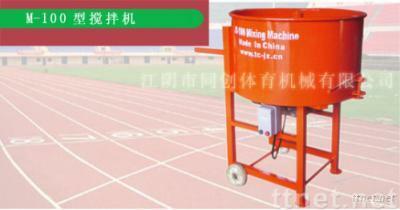 The company developed the M-100-type mixing for mixing different kinds of job sites. The machine equipped with a motor reducer direct connect.It mixes rubber slurry, directly, stirring uniform, high-efficacy. When transfer the machine to the Venuses, using the machine's small wheels at the foot to promote walking, it?s very　convenient. The structure of machine is compact and easy to operate, by domestic and foreign customers welcome and recognized.